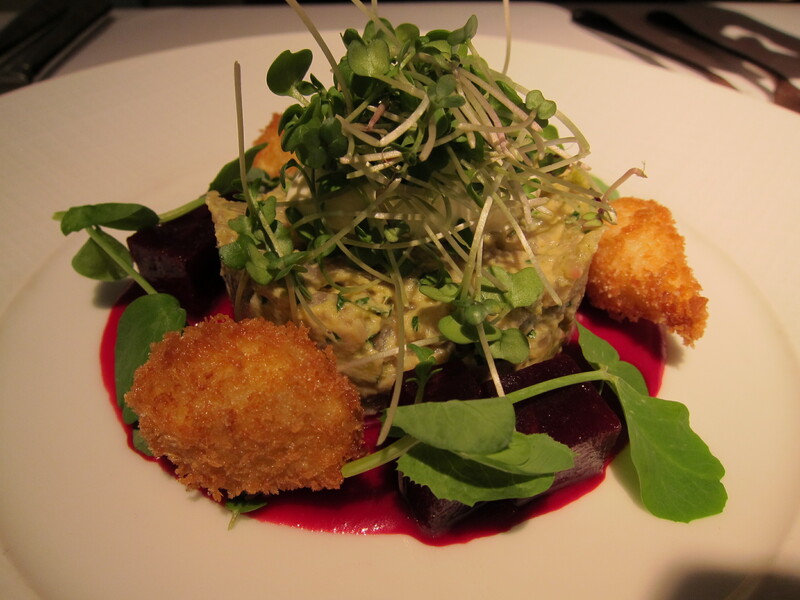 London Michelin – Simply foodolicious! おいしい! 好吃! 맛있는! délicieux! delicioso! 好食! 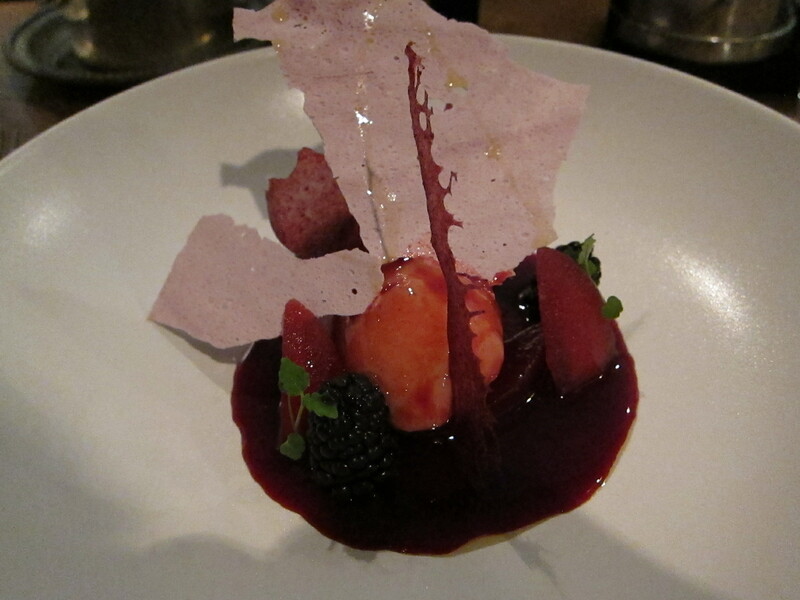 A section on the Michelin starred restaurants that I have tried in UK. Lemon and white chocolate ganache with carrot cake, basil meringue, basil puree. Ganache had a really good texture, smooth, not too soft and has a little sour in it that would excite your salivary glands to want for more. The crumbles are the carrot cake and goes well with the ganache. Creative and very palatable. Really couldn’t remember what this dessert was but it was good too. 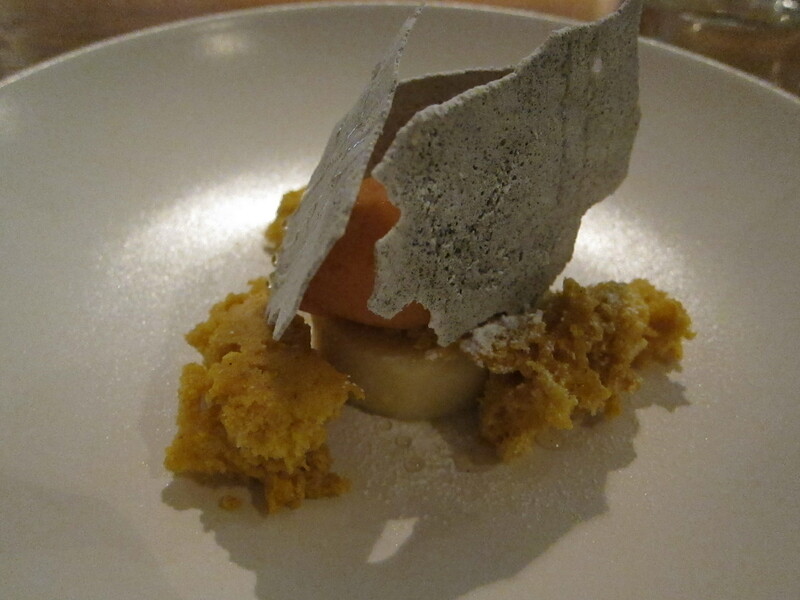 Pollen Street Social serves daring, interesting, fanciful and really palatable desserts. Love the way how the chef executes all the desserts. It’s a place that I would not mind to keep going for desserts after a proper meal. For a proper meal, you could visit Little Social first which is just opposite the road. 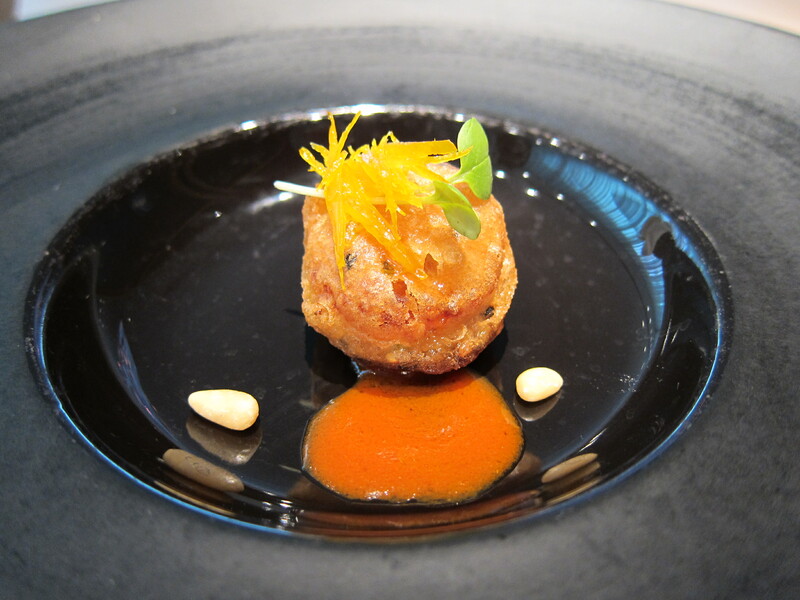 HKK London is one of the three restaurants helmed by the Singaporean chef, Tong Chee Hwee. 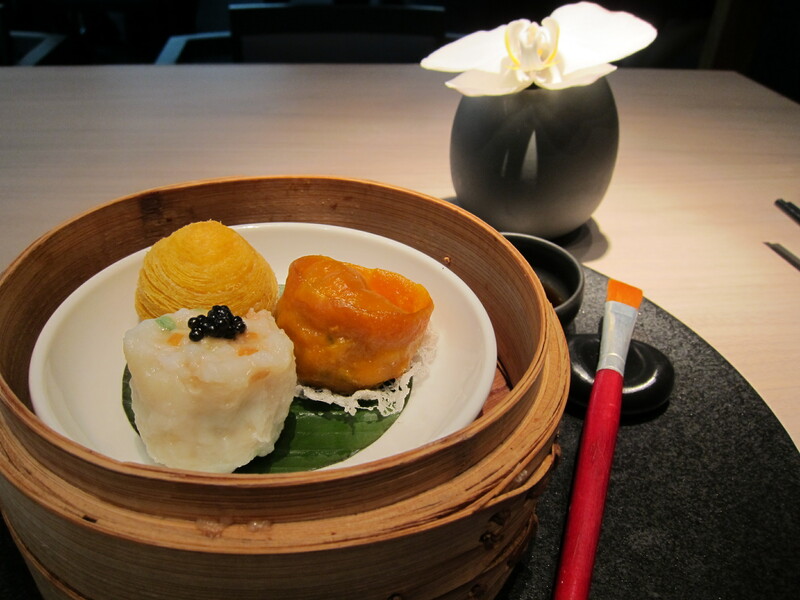 The other two restaurants are Yauatcha and Hakkasan, which are both Michelin starred restaurants. It is a relatively new restaurant opened this year. Had the 8 course lunch menu for 48 pounds. Bai Hua prawn. Fried on the outside and tasty fresh prawns on the inside. Sauce was sweet and just goes well with this appetiser. The neighbourhood around Kew Gardens station is pretty posh, tranquil and typical Britain. Though it’s just a few stops outside London, it didn’t feel like London anymore and felt a little close to Cambridge actually. Pretty houses with pretty flowers can basically sum up the whole atmosphere of Kew Gardens station. And outside this station, lies a one michelin gem- The Glasshouse Restaurant. Scallops with truffles. 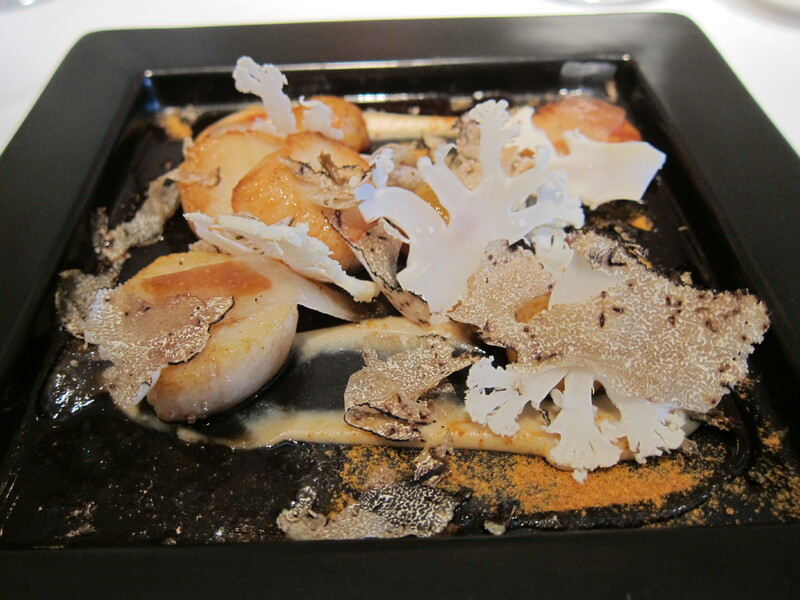 Very well seared and fragrant on its own, the scallops tasted even better with the pieces of truffles and mushroom. The white pieces are the mushrooms.